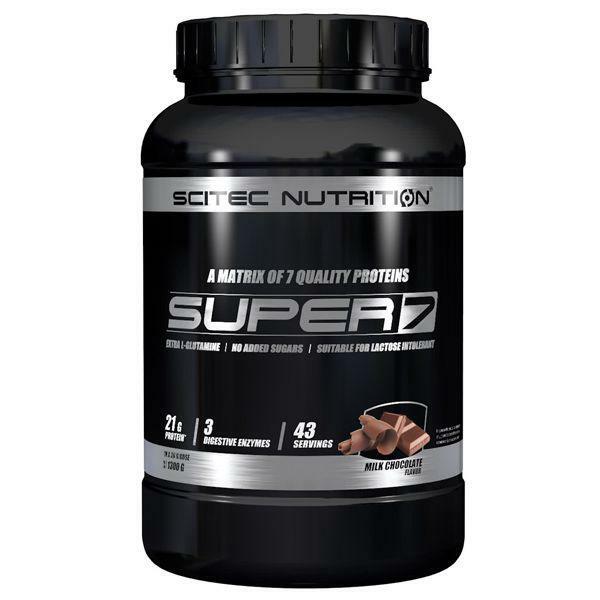 Scitec Nutrition SUPER 7 is a premium protein blend consisting of 7 types of quality, animal protein sources, including egg white protein and casein. 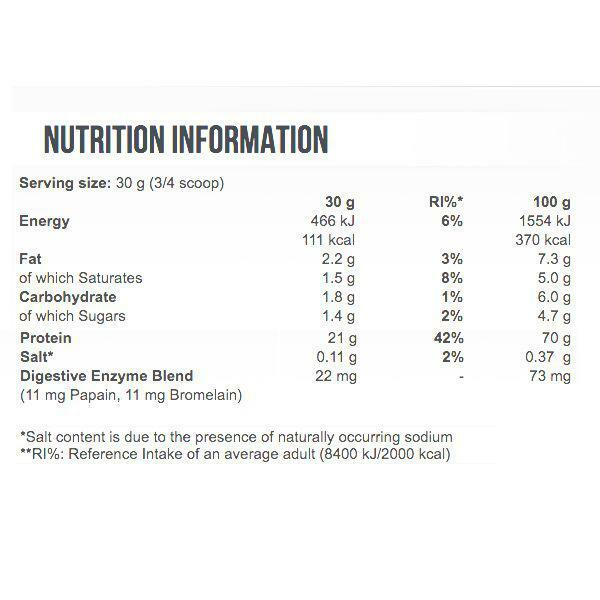 It includes ultrafiltered milk protein isolate providing undenaturated micellar casein and whey in natural ratio. Our formula also provides the patented PeptoPro® protein hydrolysate! PeptoPro® is enzymatically broken down so it mainly consists of small amino acid peptides (“chains”). Scitec Nutrition SUPER 7 provides the complete amino acid spectrum, including all the essential aminos. These 9 amino acids (i.e. Histidine, Isoleucine, Leucine, Lysine, Methionine, Phenylalanine, Threonine, Tryptophan, Valine) are considered essential for life, because the body cannot synthesize them. What’s great about SUPER 7 is the addition of several extra ingredients. One group includes essential fatty acids, like Conjugated Linoleic Acid (CLA) and flax seed oil, which is a source of Alpha Linoleic Acid (ALA). In the other group of active ingredients, we have the digestive enzymes Bromelain and Papain! To top it all off, SUPER 7 is made without aspartame and has a superb flavor and creamy texture! It is also great for night-time use. Scitec Nutrition SUPER 7 has a high proteincontent and proteins contribute to the maintenance and growth of muscle mass and also to the maintenance of normal bones. Mix 1 serving (30 g) in 300 ml water, milk or any other liquid per day. Best time to use is after workout.